A Mother of 4 sharing her journey of life, motherhood, and weight loss. Married 17 years to a awesome man. Mother of 4 trying to redecorate our house while getting out of debt. Here is another Shopping trip summary! My shopping trip to Wal-Mart. I love exercising...and trying out new Exercising dvd's. I have been using two of Leslie Sansone's Dvd's and wanted to pick up a few more. I picked up just one (they didn't have the other's that I wanted). And I picked up some one pound walking weights. 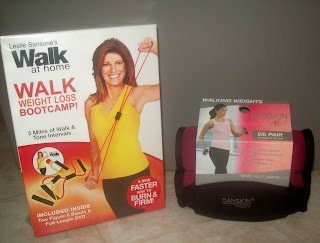 I can't wait to try out the weights and the Dvd. 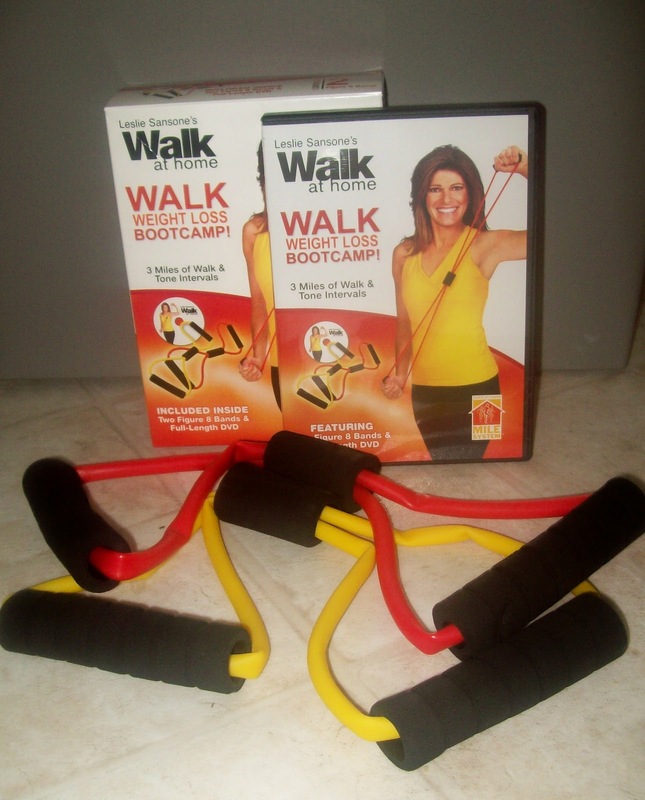 I will start the Walk Weight Loss Bootcamp on Monday. Using the Bootcamp 3 times a week (Mon, Wed, and Fri.). And doing another one of her dvd's using the weights on Tuesday and Thursday. I will ride my bike on the weekends. I think it is good to change up exercise routines. 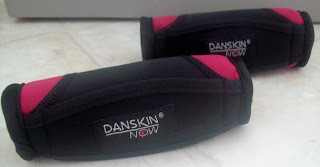 It shocks the body and gives it a push. Like I said, I bought My Walk Weight Loss Boot Camp at Wal-mart for $14.00. You can get it off of Amazon. It is 18.49 at amazon. The weights are only a pound each. They are walking weights. I paid $6.77 for them. Next month, I am going to pick up the two pound weights. On over to their clearance section they had a few Christmas items left. 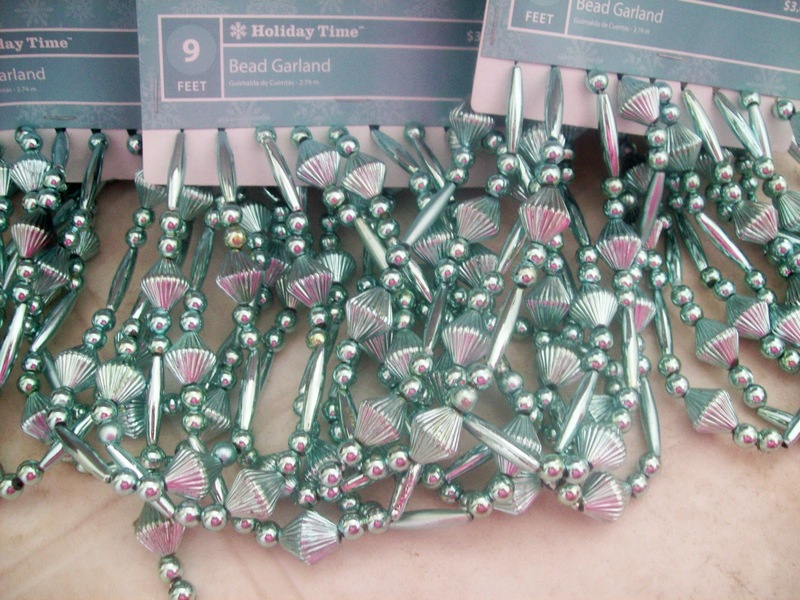 I picked up 3 of these beaded Garland. I paid $.75 each for them. I saved $6.75. My husband didn't like them. So I don't know if I will get to use them next year or not (we have 2 Christmas Trees). If not, I will give them or donate them to someone that can use them. There ya go...the end of my shopping trip. I hope you all are having a fabulous day. Easter Greetings to One and All!